As driven creators, we sometimes make stuff that we were not hired to do. Here are some projects we did because we wanted to because they were interesting, fun and that sort of stuff. 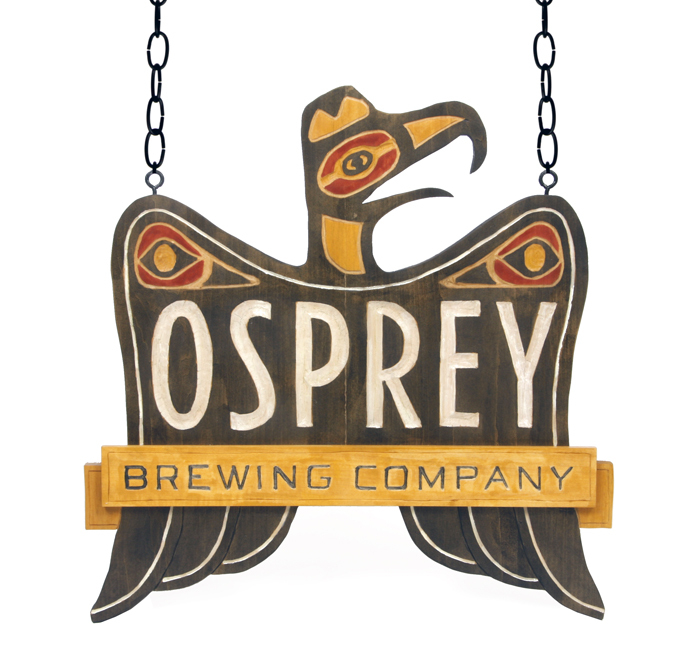 This identity was inspired by the totem poles and artwork of the Pacific Northwest Native Americans for a privately-owned brewery located in NW Washington. A hand-carved wooden sign honored the craftsmanship put into the beer. This book teaches the method of companion planting, an organic way of gardening. Using the analogy that vegetables have perfect garden mates to ward off pests and disease. Each "soilmate" is featured using unique illustrations and icons that are complimented by humorous copy that is inspired by contemporary dating manuals. This was a personal project that was written and designed by Sara and was eventually was published by Quirk Books in 2010. You can pick up a copy in our shop. This poster series utilizes fun graphics for a classroom to provide simple messages that address common issues with classroom misbehavior. The series includes nine posters. You can pick up a copy of "Raise Your Hand, Not Your Voice" and "Say Kind Words, Not Mean Ones" in our shop. Based on Brothers Grimm story, Red Riding Hood, this book illustrates the wolf’s side of the story as well as the little girl’s. Book is a double-sided book, with a story starting on either side. 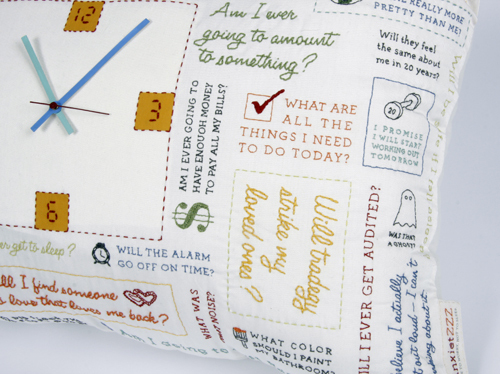 How often are you kept from sleep by all your worries? 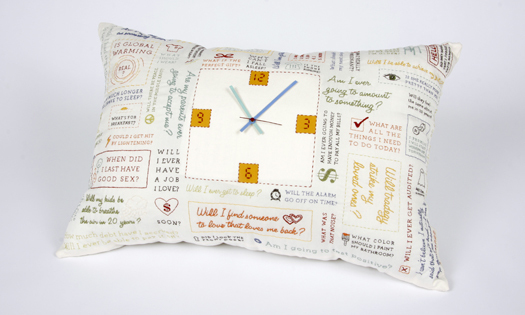 This pillow clock is embroidered with the very anxieties that prevent us from drifting off into slumber. This collection of worries, at the very least, can give you something to read while you’re awake. Available for purchase, contact if interested.